A Council of the PC(USA) in the Highlands of Virginia. Abingdon Presbytery seeks by the grace of God to nurture its congregations and pastors and to foster Christian unity among them, and to offer and develop leadership in order that congregations will grow in faith and in numbers, and to exhibit the Kingdom of God, thereby witnessing to the Lordship of Jesus Christ throughout Southwest Virginia and the world. Add your church photo to the slide show. The Way Forward Committee held their first meeting with our consultant, Rev. Jim Moseley, on April 26. After a time of devotions and prayer, we spent some time introducing ourselves to Jim and talking about our progress over the past year. We worked with Jim on a timeline of events that went back to the committee's formation and continued into the future. We spent the final hours of our meeting discussing possible scenarios of Presbytery leadership. We were asked to communicate the objectives of the committee. These are the areas we have communicated previously to Council and at the November 2017 Presbytery meeting. Type of leadership and qualities of a leader - the ability to enable and empower others. Building and strengthening relationships - we are a connectional church. Clearly defined roles and responsibilities for leadership and committees. Implement staff development opportunities for teaching elders. Effective use of technology - effective communication. The Church Development Committee of Abingdon Presbytery is committed to partnering and working with the congregations of our Presbytery when it comes to revitalization and renewal. To show this commitment, the Church Development Committee is making a portion of Church Development funds available in the form of cost-sharing grants to assist our congregations in revitalization and renewal efforts. Have you ever heard the word “Wild” used in the context of church? 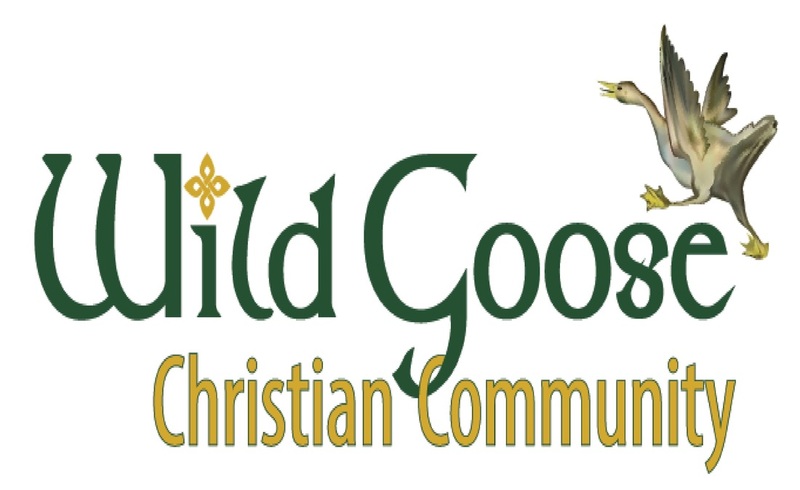 Wild Goose Christian Community is a non-traditional worshiping community in Floyd County. Our purpose is simple: to reach out to those that might never darken the door of a traditional church, and to talk about the Good News of Jesus Christ--maybe in a way you've never heard it before. Different congregations in the Presbytery will be highlighted below. Come join us for worship in Abingdon Presbytery! Grace Presbyterian, originally called the Depot Church to Town Church was the second chapel organize by the Glade Spring Presbyterian Church. This Mother Church was established in 1772 and is now referred to by many as Old Glade. In April of 1885 the Rev Frank McCutchan answered a call by the Glade Spring Presbyterian Church and began his ministry as the 16th pastor. He was a man of great spiritual power and leadership. It seemed that this strong man was sent by God to establish an additional house of worship in the small town of Glade Spring. Up until that time all Presbyterian in the area had gathered for services in the Old Glade Spring Church. In early 1969, a meeting of the Presbyterians was held for the purpose of deciding whether to separate from Old Glade. After some discussion, a vote was taken to establish a new church to known as Grace Presbyterian Church. On January 9, 1969 a congregational meeting was held for the state purpose of nominating and electing elders, deacons, and trustees for the Grace Church. The church was dedicated on April 9, 1893. For years, the original building served for Church Services and Sunday school. A coal furnace, was installed in the early 1930's to replace the old stoves. The first structural change was in 1937 with the enlarging of the area behind the pulpit for the choir. The next enlargement was the addition of the two classrooms built in 1942 which housed the Men's and Ladies' Bible classes. In 1954, the entire plant was repaired, renovated and refurnished with new pulpit furniture, wall to wall carpet in the sanctuary, new pews, draperies and floor coverings in the classrooms and fellowship hall. Rev. Ben F. Brown was pastor at that time with Reverends H.M. Wilson, D.B. Walthall and H.G. Allen returning to participate in the Dedicatory service on September 26, 1954. This town church was the place where church suppers, W.O.C. and elders and deacon meeting were held and the pastor's study was here until 1969. There have been improvements made to the church building throughout the years. Windows have been replaced in the educational building and classrooms. Wall to wall carpet in the fellowship hall has been replaced and wall painted, padding on pews, and updated technology as been added. Dr. Darlene Litton is the leader that has been part of the Grace Presbyterian Family for over 15 years.